This affordable, updated 3 bedroom 1 bath features a newer kitchen with Tile backsplash, Granite countertops, new floors, new electric, new windows, and an updated bathroom. Lovely arched entryways inside give a nice craftsman feel. 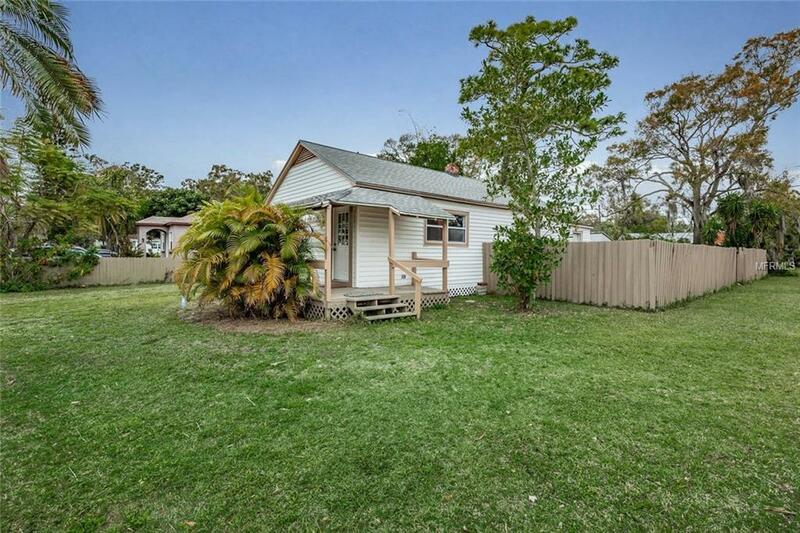 Very quaint home with a good sized fenced yard with shed in the back and double entry for your boat, oversized vehicles, or RV. Situated on a corner lot. Inside laundry room and fresh paint throughout the home with plenty of parking. Great location with easy access to US 19 and Interstate 275 and very centrally located.